These posters were illustrated 20 and 25 years ago by me for the Detroit Grand Prix. 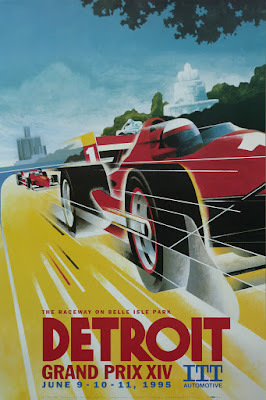 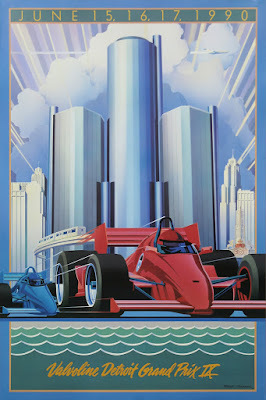 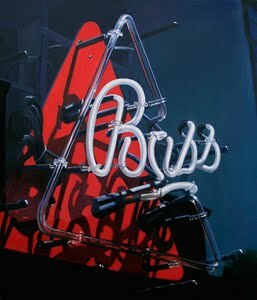 In honor of the Detroit Grand Prix, I am offering the two posters I did the artwork for 20 and 25 years ago. 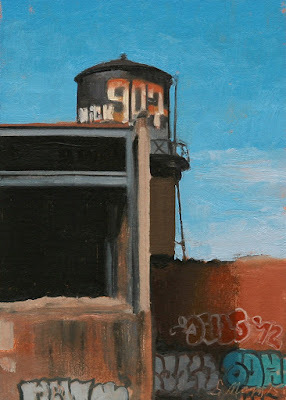 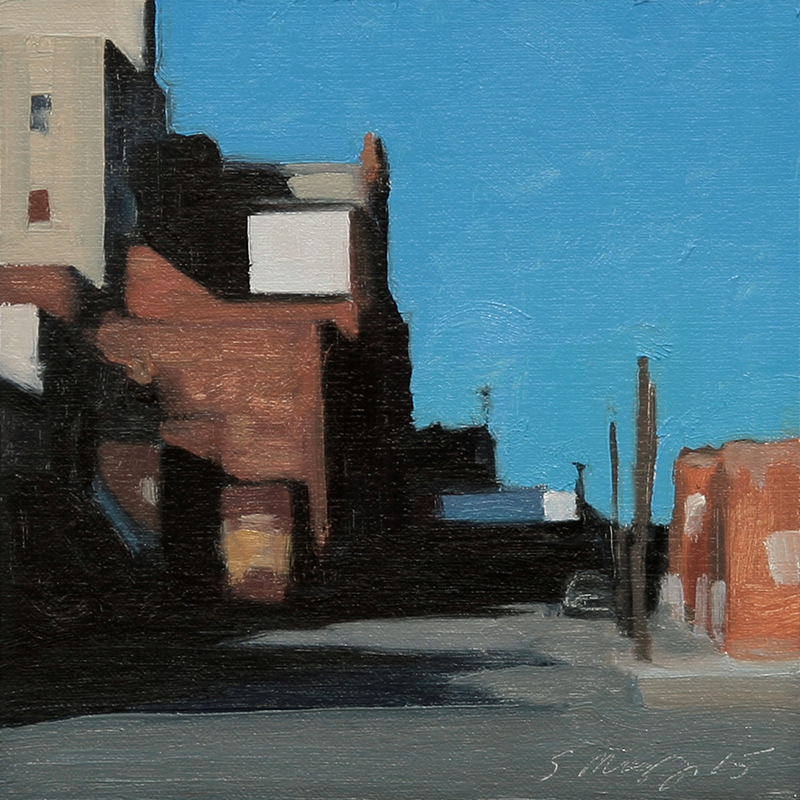 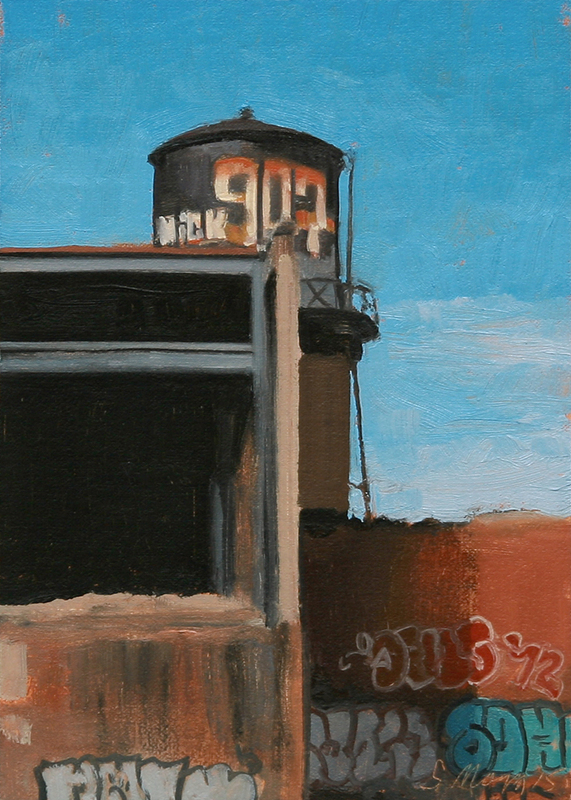 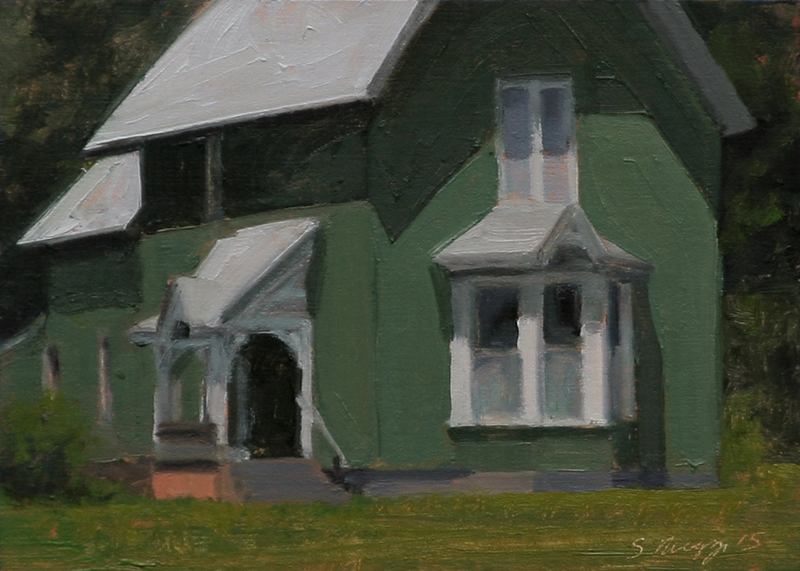 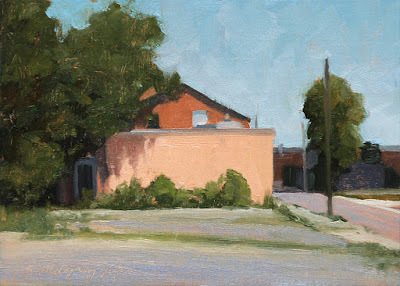 This urban landscape painting is a view of warehouses and shadows in Detroit's Eastern MarketClick on image for larger view. 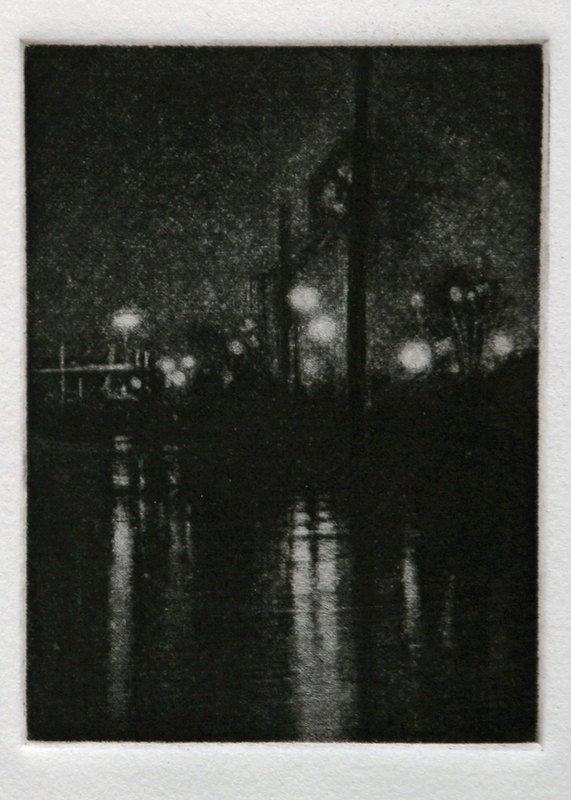 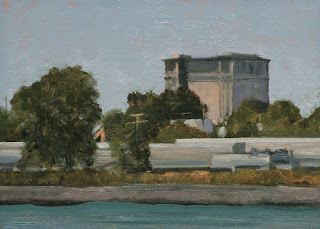 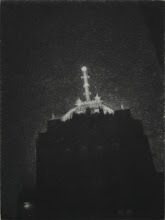 This print is a nocturne view of the steel plant on Zug Island and reflections in the Rouge river. 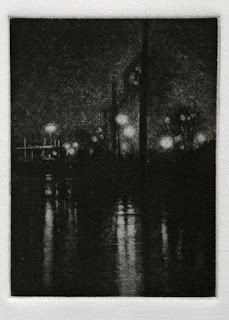 Printed from a hand rocked copper plate and Faust jet black ink hand pulled by me in my Blue Spruce studio. 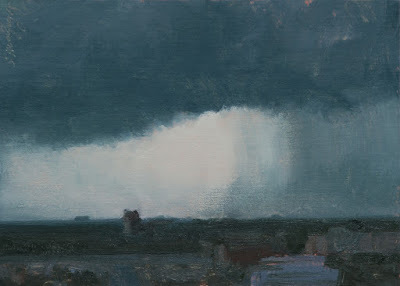 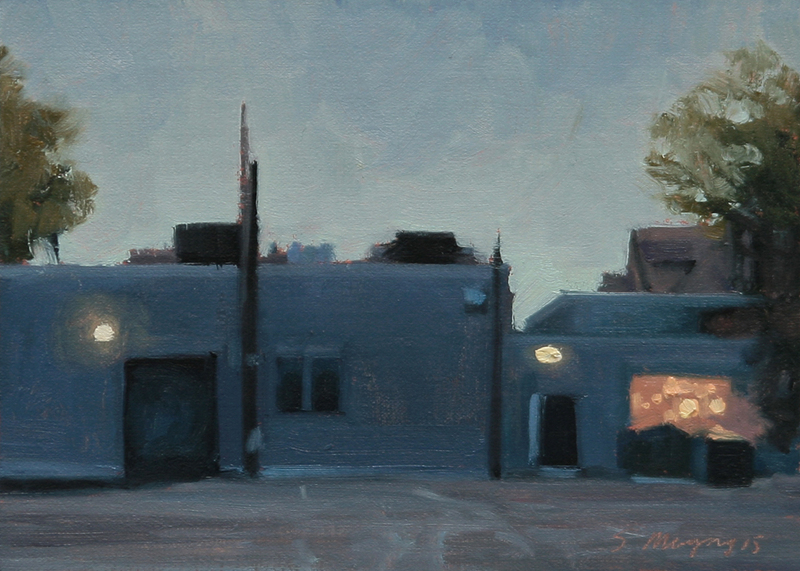 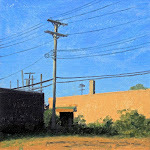 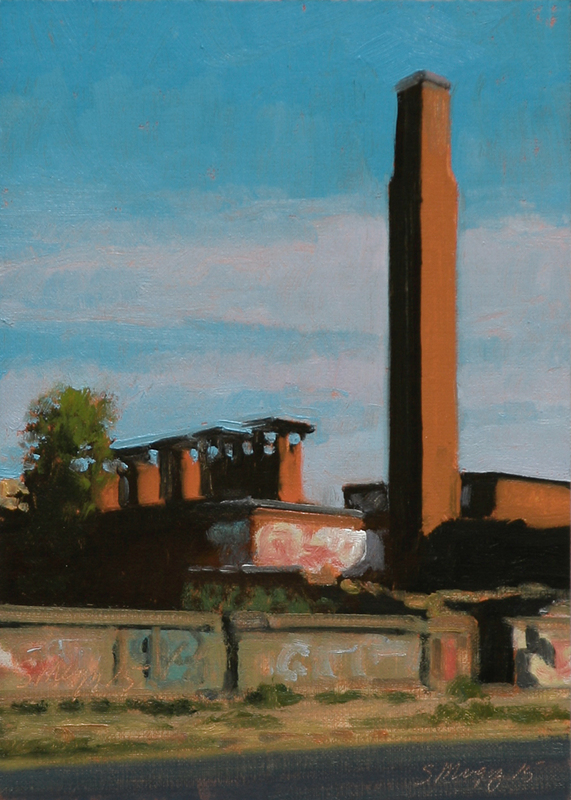 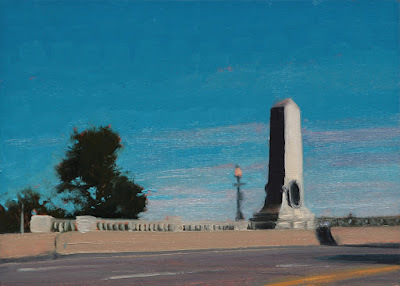 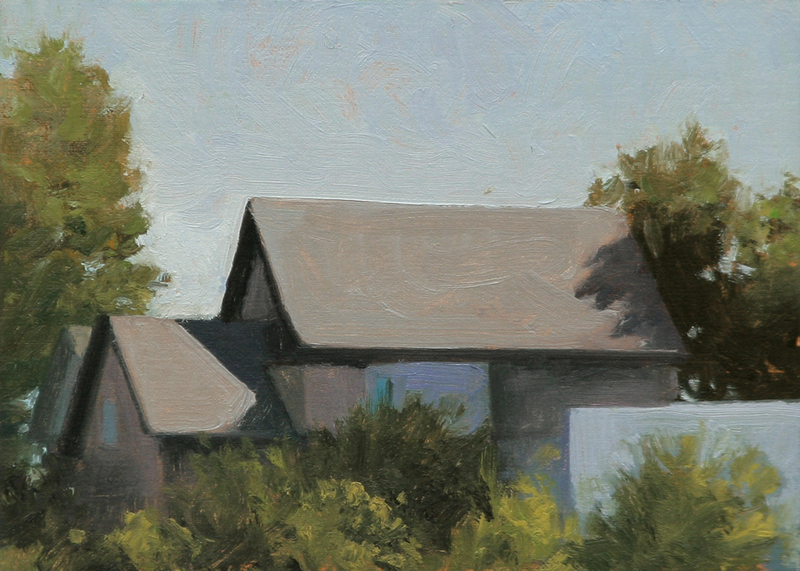 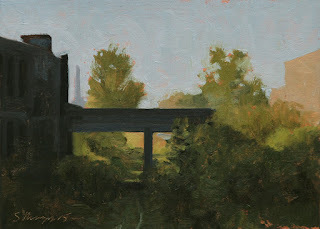 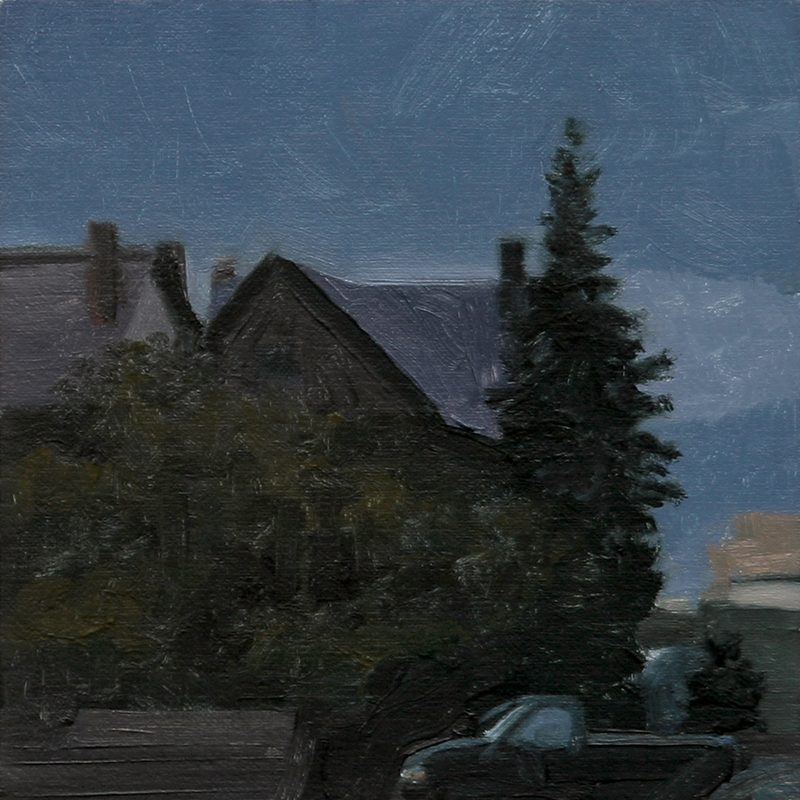 This urban landscape painting is a view of evening light on buildings at the Dequindre Cut near Eastern Market in Detroit.